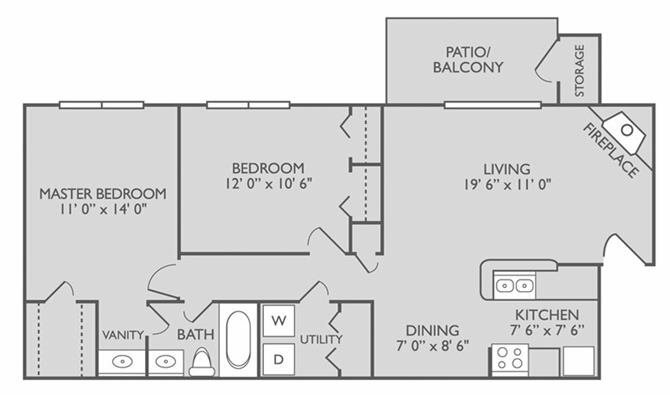 1 Bedroom, 1 Bathroom, 680 Sq. 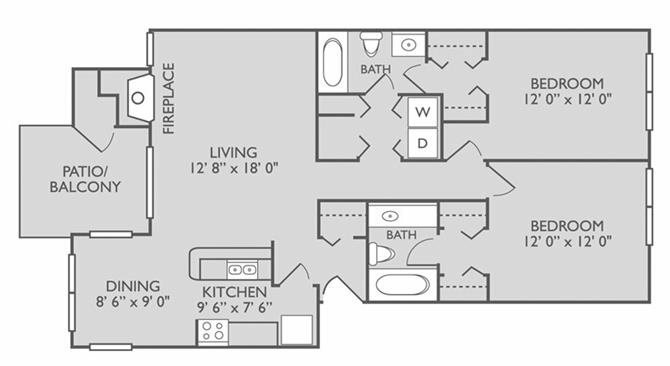 Ft.
1 Bedroom, 1 Bathroom, 826 Sq. 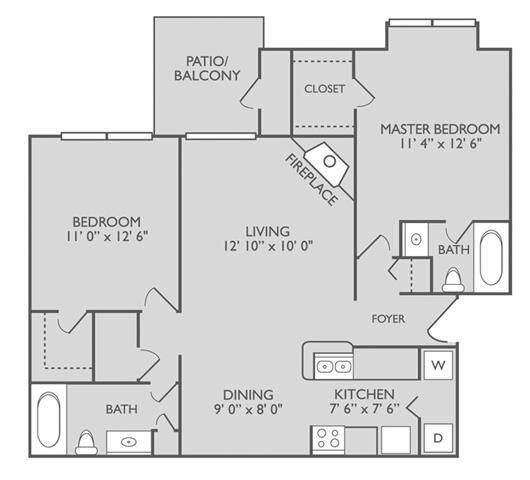 Ft.
2 Bedroom, 1 Bathroom, 837 Sq. 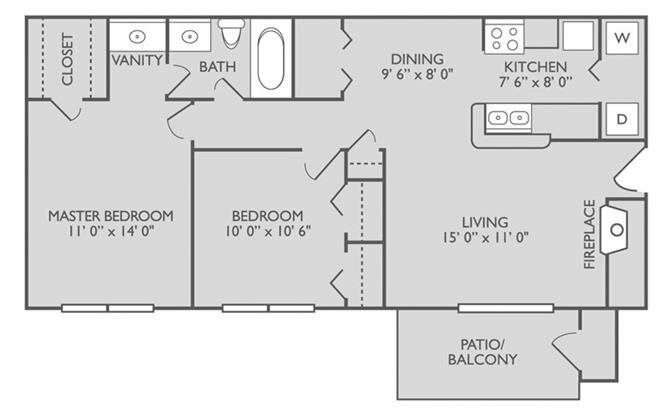 Ft.
2 Bedroom, 1 Bathroom, 904 Sq. 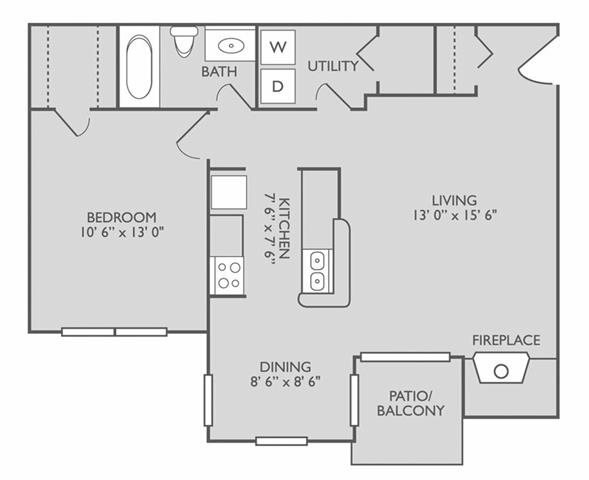 Ft.
2 Bedroom, 2 Bathroom, 934 Sq. 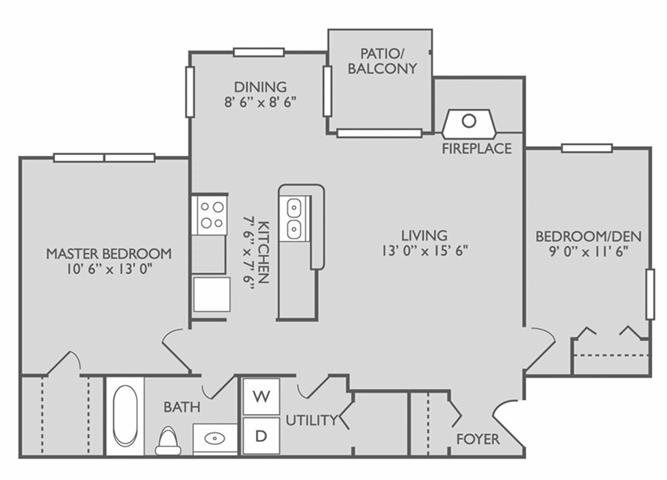 Ft.
2 Bedroom, 2 Bathroom, 1048 Sq. Ft.